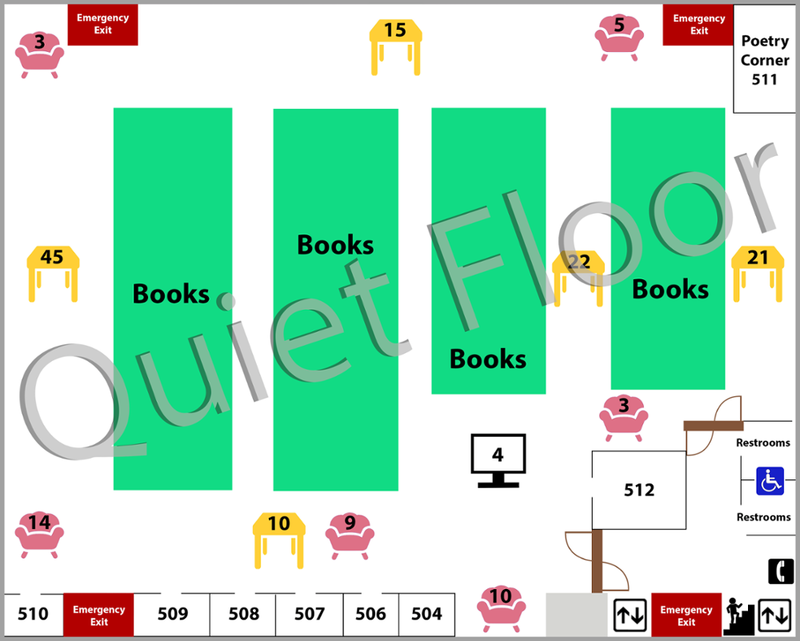 Find a group study room and reserve it now. 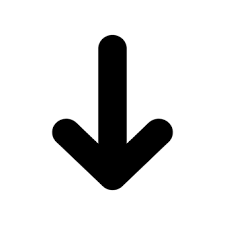 Users can make one three-hour reservation per day and renewals may be available at the Information Center. Reservations can be made up to two weeks in advance. Special equipment is listed next to each room. All group study rooms have outlets and a whiteboard. See our full group study room policy. Room 202 Mac and widescreen monitor. Capacity: 10. 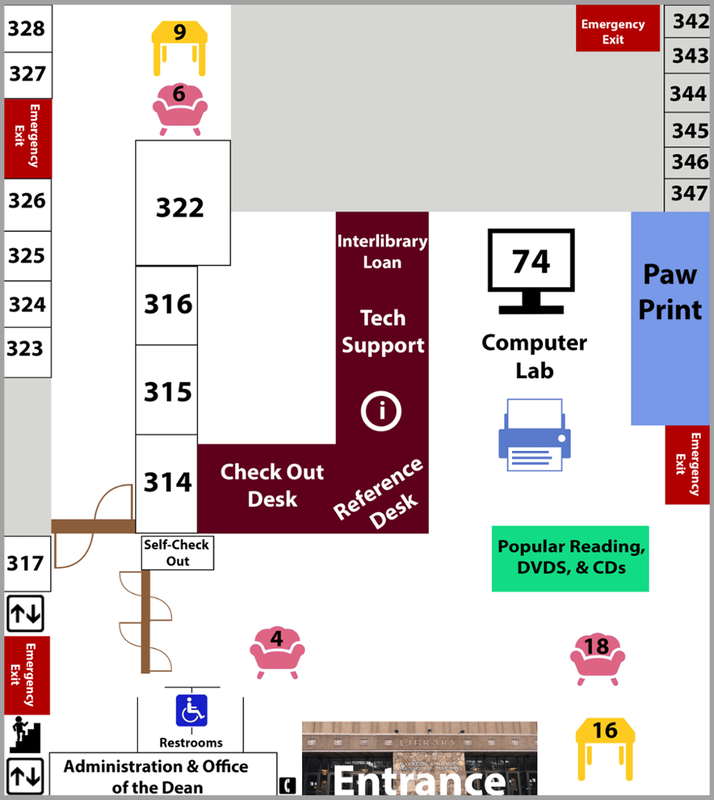 Room 209 is the Accessible Technology Room with a PC, widescreen monitor, flatbed scanner, and a variety of assistive technology (hardware & software). Capacity 4. Room 211 PC and widescreen monitor. Capacity: 10. Room 213 Laptop collaborative workstation. Capacity: 4. Room 215 is set up as a family-friendly room and includes children's books and videos, a TV, DVD player, smaller furniture, and two-person study table. Capacity: 3. Room 407: Veteran Study Room PC and widescreen monitor. Veterans can request the username and password from the VETS Office to reserve this room. Non-veterans will be able to request the veterans’ study room at the Check Out Desk when it is not reserved, one time per day up-to three hours, no renewals. Capacity: 8. The Payne Family Library at Missoula College has two group study rooms. 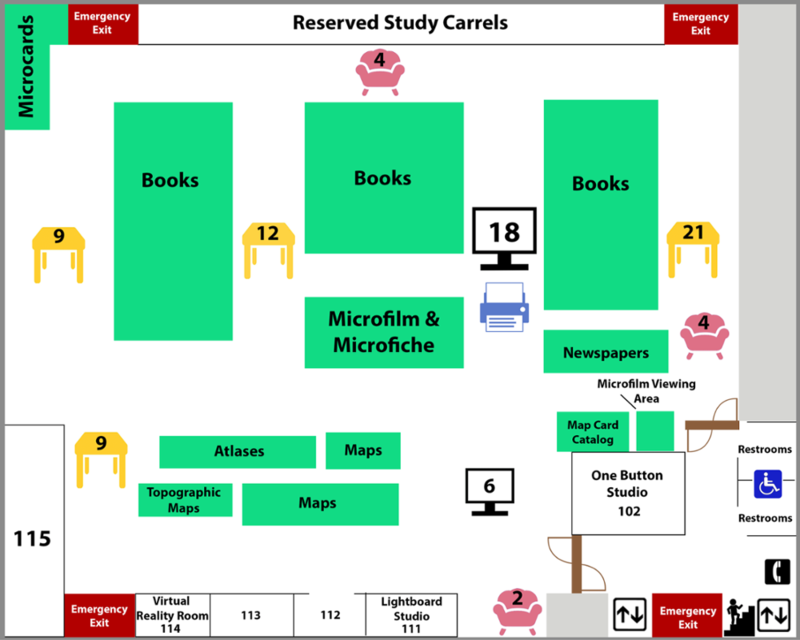 Reserve a group study room now. They can be reserved for up to three hours a day per individual NetID. Extra bookings may be deleted. Listen to a full audio tour of each floor of Mansfield Library. Standard computer workstations. Learn more about workstation features. Variety of computer workstations. Learn more about workstation features. 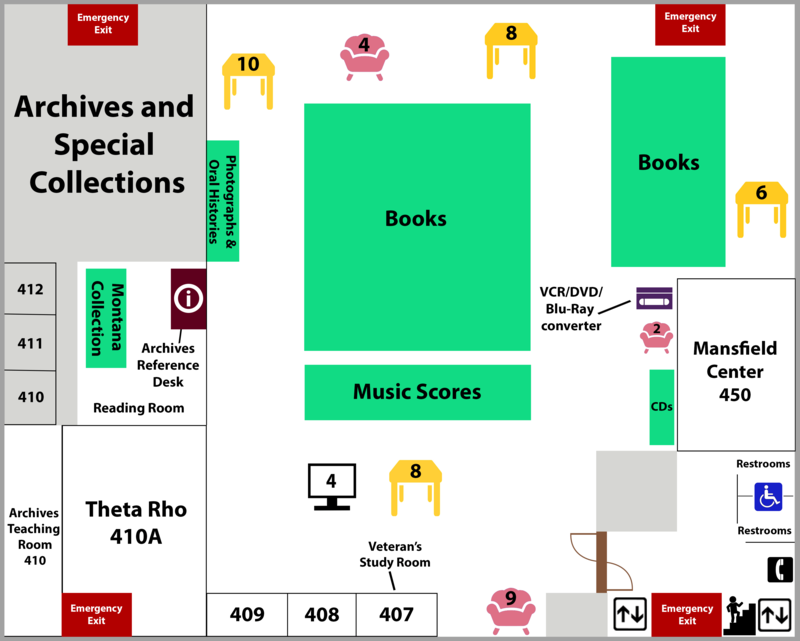 ***Note: the floor plans here are outdated but the carrels are still in the same place! #1. 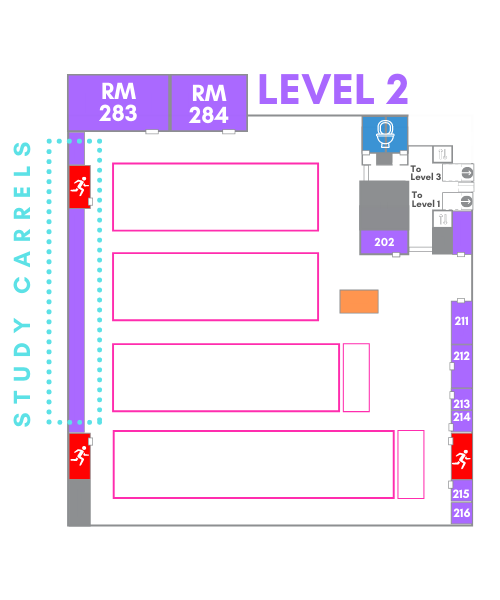 First-come, first-served: these carrels on level 2 do not require a key and are open to anyone. #2. 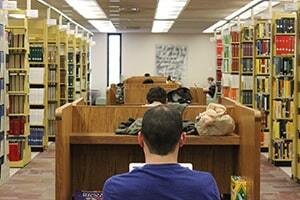 Semester-long: these carrels on the west side of level 1 are reservable for a whole semester. 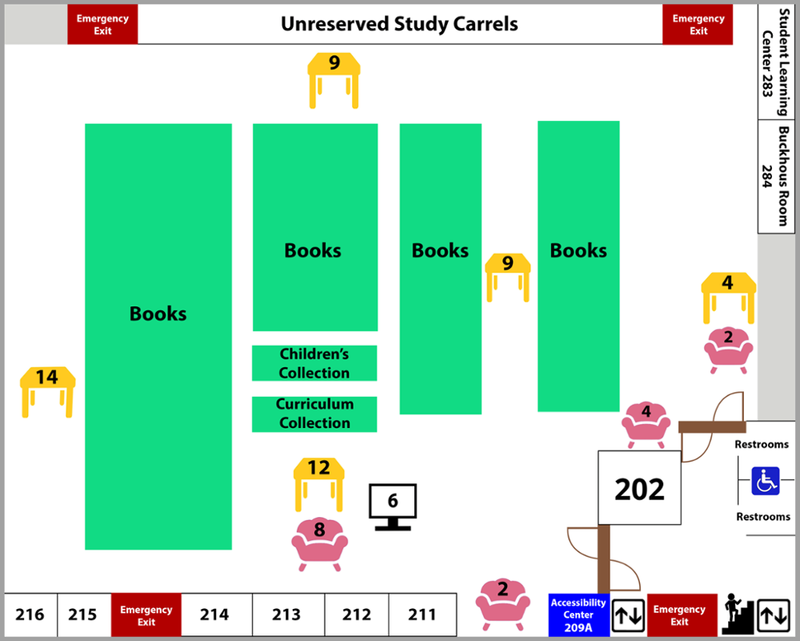 Request a carrel for next semester.